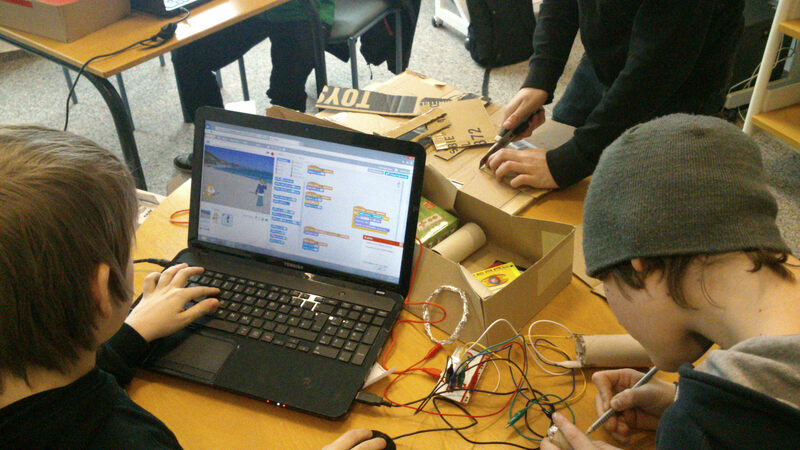 Juliane Springsguth and Florian Weil had the chance to develop a new game hacking workshop format for teenagers (Mostly 8th graders around 13-15 years old) in cooperation with the “Berufsorientierte Schulprojektwochen (BOP)” organized by the Media Education Institution WeTeK Berlin gGmbH. 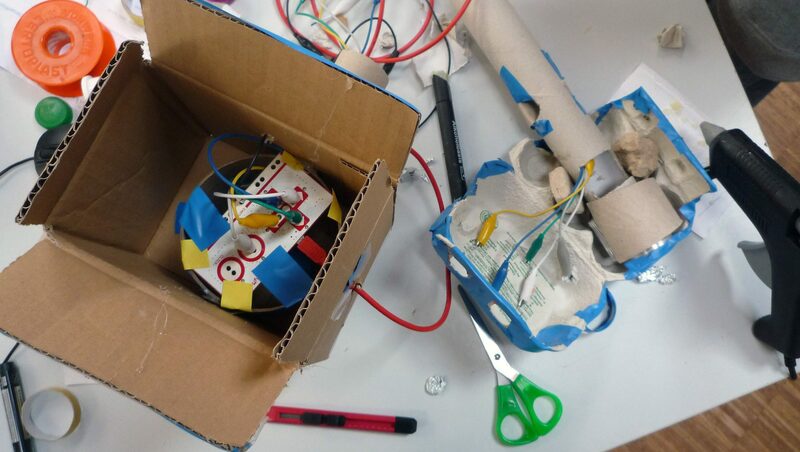 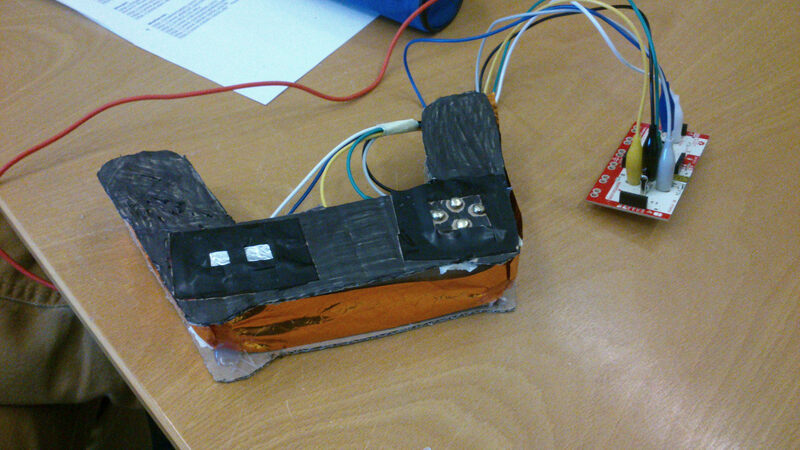 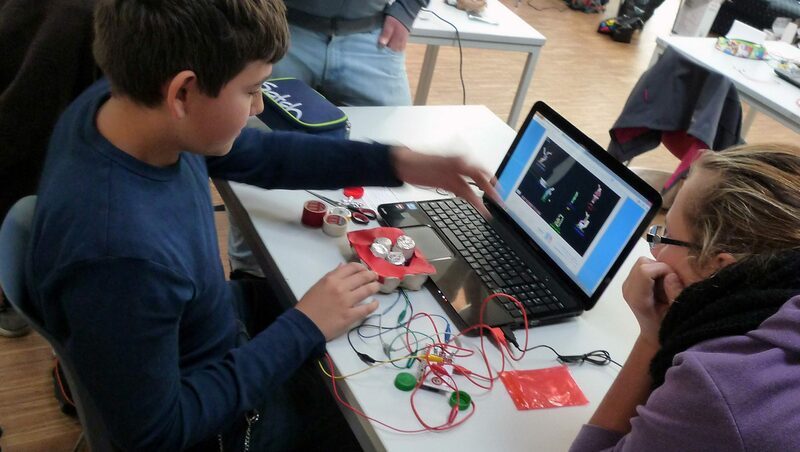 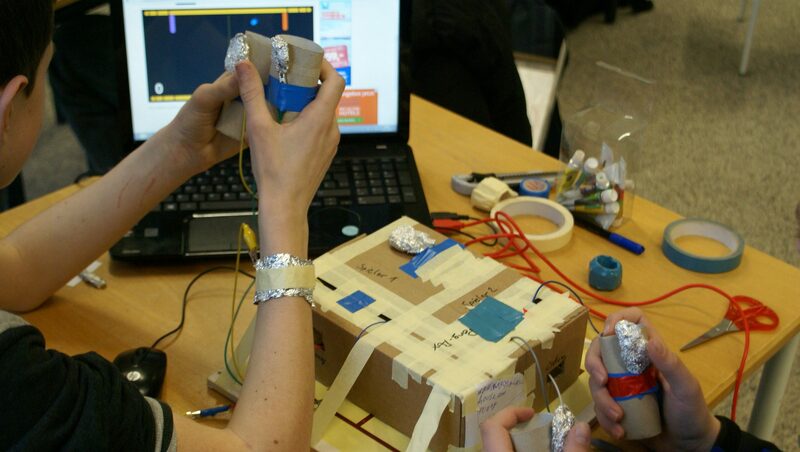 The objective was to develope a tangible and audiovisual Game Art installation with MakeyMakey and Scratch. 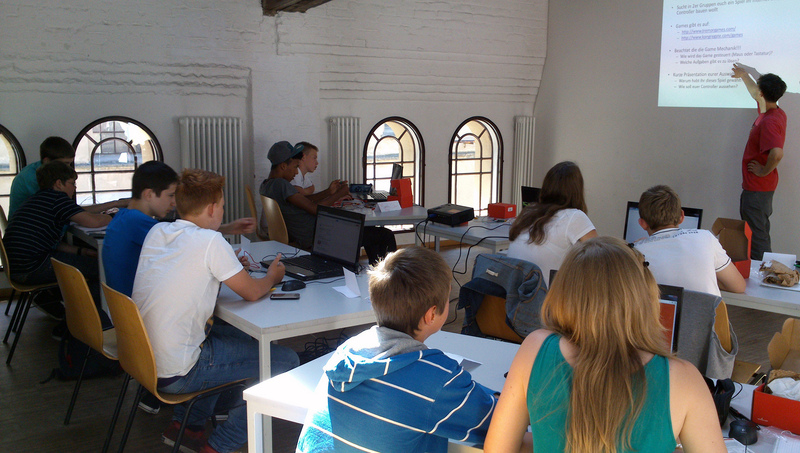 Furthermore, those young participants got empowered to express their own ideas in a media technology driven environment.